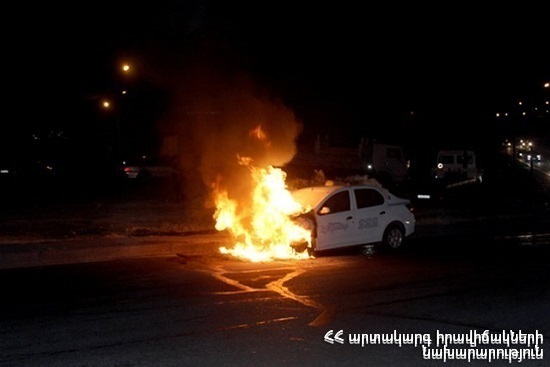 On February 6, at 02:35 an emergency call was received to “911” service that a car was burning in Kalinin street in Dilijan town, Tavush Province. The fire was isolated at 02:46 and extinguished at 03:01. The front part of “GAZel” car burnt.